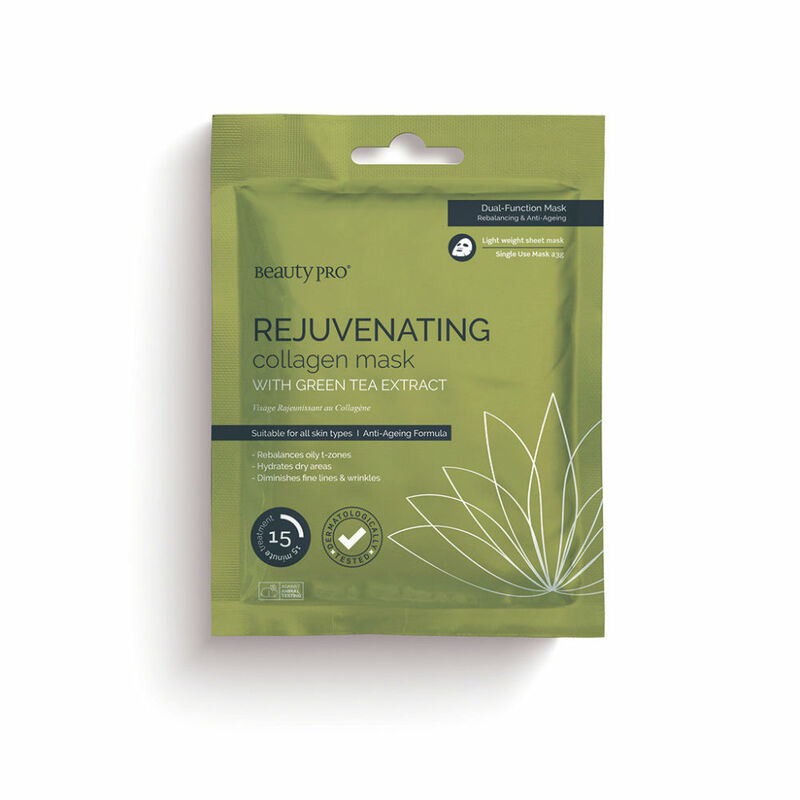 The rejuvinating collagen mask from Beauty Pro is a lightweight mask with marine collagen and green tea extract. It combats oily t-zones and hydrates your dry patches and encourages regeneration of the cells to leave you with a softer, younger appearance. Directions: Remove the sheet from package and drape over your face. Leave for 15 mins and peel off.